The Samsung Flight II is a quick messaging device with Samsung's TouchWIZ interface and plenty of social networking features. Check out our in-depth review. The Samsung Flight II updates the original Flight with a higher resolution screen and a larger, side-sliding QWERTY keyboard. It's a quick messaging device with Samsung's TouchWIZ interface on board. So does this compact messager soar, or is it headed for a crash landing? 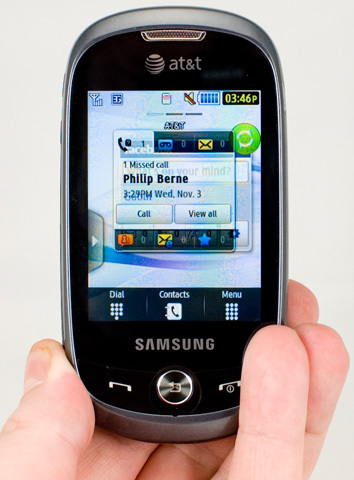 Samsung today announced two more quick messaging devices for AT&T's network, the SGH-a597 Eternity II (pictured) and Flight II. Samsung published information about the Flight II last week.